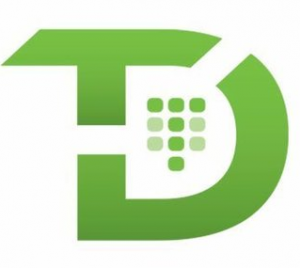 TrackDrive is a call tracking software that enables users to make and record calls, access real-time data, and send SMS blasts. It also captures leads instantly and automates contact through email, SMS, and outbound calls. In this review, we cover its pricing options. Ready to try TrackDrive? Request a demo. As of the date this article was written (10/03/18), there are no up-to-date user reviews of TrackDrive online. If you are a past or current Obsurvey customer, leave a review to help other business owners who are deciding whether or not to use the software. TrackDrive offers two pricing options: Committed-Use Discounts ($1/month/number) and Pay-As-You-Go ($2.50/month/number). The main difference between the plans is that Pay-As-You-Go offers usage-based pricing for users with no contract, while Committed-Use Discounts provides lower pricing for users with a monthly contract. Another difference between the two pricing options is their respective fees for inbound local calls, inbound toll-free calls, and inbound SIPs. Ready to try out TrackDrive? Request a demo. Best Call Tracking Software for 2018: CallRail vs. CallTrackingMetrics vs. Convirza — Read about our comparison among CallRail, CallTrackingMetrics, and Convirza. This covers what these software are best for, their monthly rates, ease of set up and use, and the type of customer support, features, and amount of usage included. Does TrackDrive provide discounts for a larger monthly spend? Yes. TrackDrive offers discounts ranging from 45% to 66%, depending on the minimum monthly spend of $200 to $10,000, respectively. For users and business owners with a monthly spend of over $10,000, you can call TrackDrive at (855) 387-8288 to request for a quotation. Does TrackDrive offer toll-free phone numbers? Yes. You can purchase 844, 855, 866, 877, and 888 toll-free phone numbers from TrackDrive. Here is a list of some of TrackDrive’s popular integrations. Not sure if TrackDrive is the right fit for you? Read our reviews of all top call tracking software providers or check out one of these three TrackDrive competitors.